Due to spring break, there will be no Connect next week. We hope everyone has a safe and happy spring break! Don't forget to get out and vote on Tuesday, April 3rd. Today is the last day to early vote for Hales Corners residents. Tomorrow is the last day to early vote for Greenfield and Franklin residents. To early vote, you must go to your municipal clerk's office. If you want to request an absentee ballot online , you must do so by 5 PM today . Completed ballots must be received by 8 PM on election day. 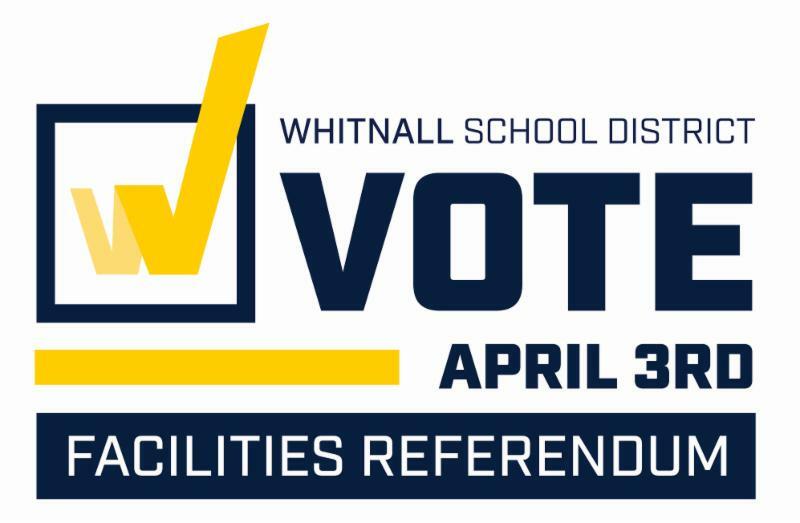 For all of the information related to our referendum, visit this page. If you missed the segment that WISN did on our referendum this week, check it out here ! Board briefs are simple summaries of our board meetings. Without having to labor through or wait for the comprehensive board minutes, you can access what changes the board approved at each of their meetings! The latest board brief (for the March 26 meeting) has been posted. Check it out on the right sidebar of our Agendas & Minutes page. Please note that the April 9 board meeting has been moved to April 16. Volunteer to work with school-based groups concerning violence prevention. Talk with the parents of your child's friends. Discuss how you can team up to ensure your children's safety. Click here for all of the programs being offered at Hales Corners Library over spring break! State testing will be occurring throughout the district April 12 - April 24. Please see this parent letter for more information. We would like to extend a huge thank you to everyone who provided donations and attended events to help make the first annual Whitnall Gives Back Week a success! Your donated toiletry products will enable us to provide many necessary items to students in need throughout the district. The generous donations raised at our Mr. Falcon event totaled over $1,100.00 which will benefit the Whitnall Resource Closet and the Sojourner Family Peace Center. Our student council also held a very successful hair donation drive to help children suffering from hair loss due to illness. We are proud to announce that we reached our fundraising goals, which meant students got to partici pate in a staff vs. student basketball game and see teacher Cody Smith do an award winning ribbon dance. While this great week is coming to an end, your donations will continue to benefit those in need! Thanks again for your support! The monthly parent meeting, Muffins with Mom and Donuts with Dad, will be Monday, April 9 at 7 AM in the District Office. ﻿The next PTO meeting is April 11 at 7 PM in the WMS Library. We hope that our students will find time to complete the flat falcon project over spring break. The directions came home on Wednesday. Have a safe spring break!